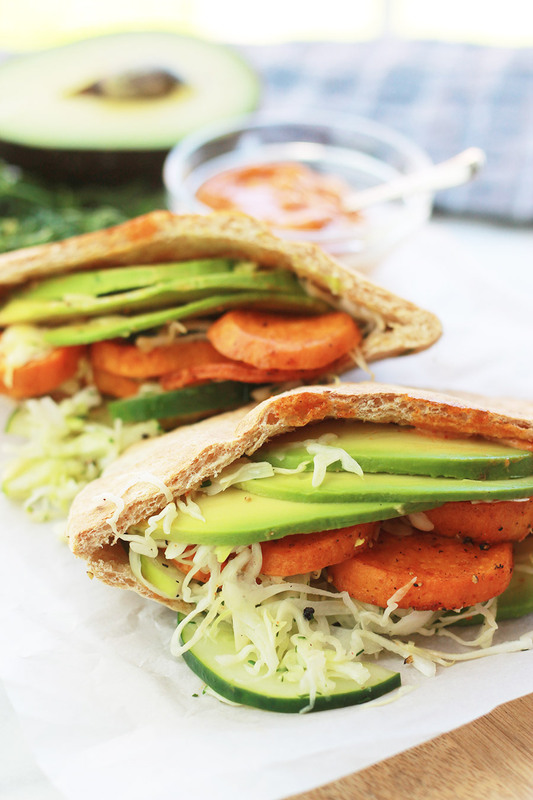 Spicy Vegan Sweet Potato Pitas with Cucumber Slaw – Spicy sweet potatoes, smooth creamy avocados, and crisp cucumber slaw, these pitas are filled with a medley of wonderful flavors. Growing up whenever we had sweet potatoes, I thought it was pretty special. They were always baked and served with a dollop of butter and a sprinkling of brown sugar. Looking back at it I think sweet potatoes were used more for making desserts like pies and soufflés. When it came to preparing everyday meals it was the forgotten potato. Well, all of that has changed, sweet potatoes are no longer the forgotten potato, I enjoy incorporating sweet potatoes into my savory recipes. If you’re avoiding sweet potatoes, maybe it’s time to look at some of the health benefits of Sweet Potatoes. Another plus for sweet potatoes is that they’re easy to prepare and there’s an abundance of ways to incorporate them into recipes. 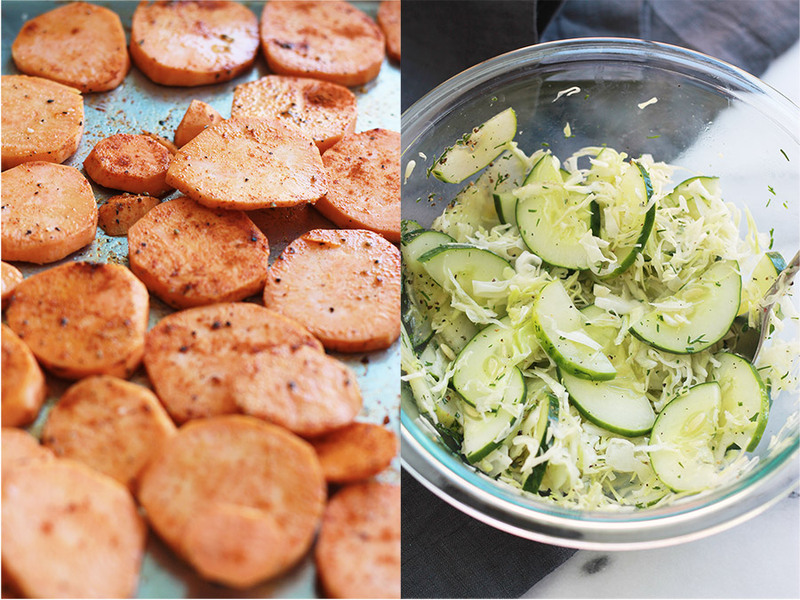 While the potatoes are roasting you make the cucumber slaw and sauce. I’ve come a long way from the days of eating sweet potatoes only as a dessert. 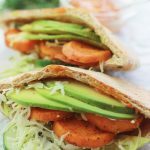 Spicy Sweet Potato Pitas with Cucumber Slaw – Spicy sweet potatoes, smooth creamy avocados, and crisp cucumber slaw, these pitas are filled with a medley of wonderful flavors. Peel and slice potatoes into ¼ inch rounds. Place potatoes in a medium bowl, drizzle with 2 to 3 teaspoons of extra virgin olive oil, add 2 teaspoons of harissa paste and sprinkle with ¼ teaspoon of salt, toss to coat. Transfer potatoes to a shallow baking pan. 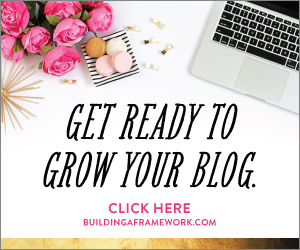 arrange in a single layer. Roast until tender, about 15 to 20 minutes. Flip halfway through roasting. 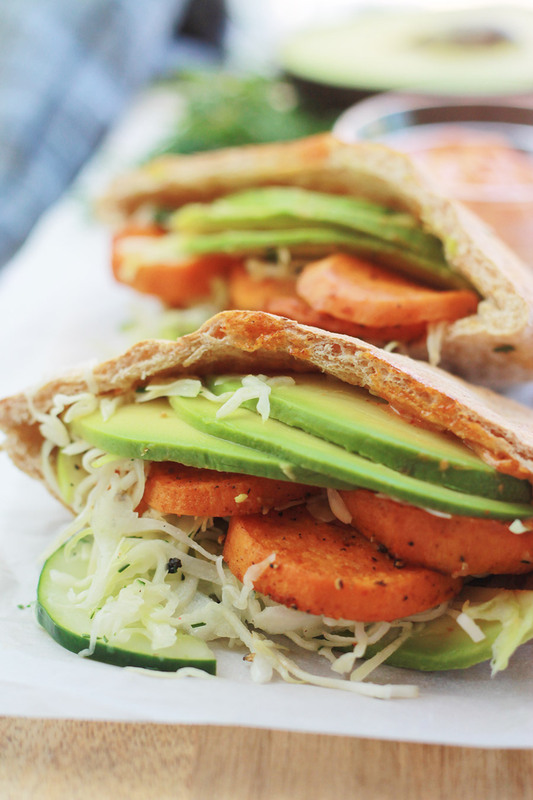 While potatoes are roasting prepare cucumber slaw. Using a mandoline or knife, slice cucumber lengthwise, then in halves, transfer cucumber to a large bowl. Thinly slice the cabbage and add to bowl with cucumbers. Add vinegar, dill, oil, and pinch of salt and pepper. 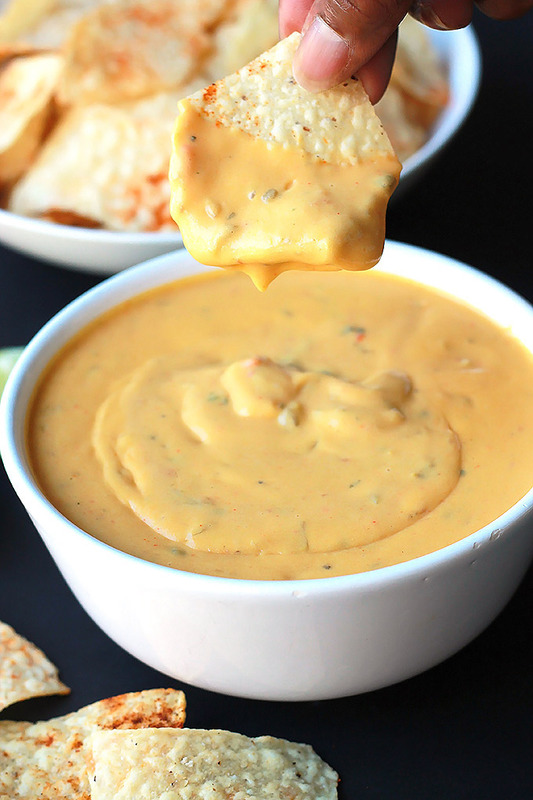 Toss, taste and adjust seasoning as needed to your taste. Cover and set aside. 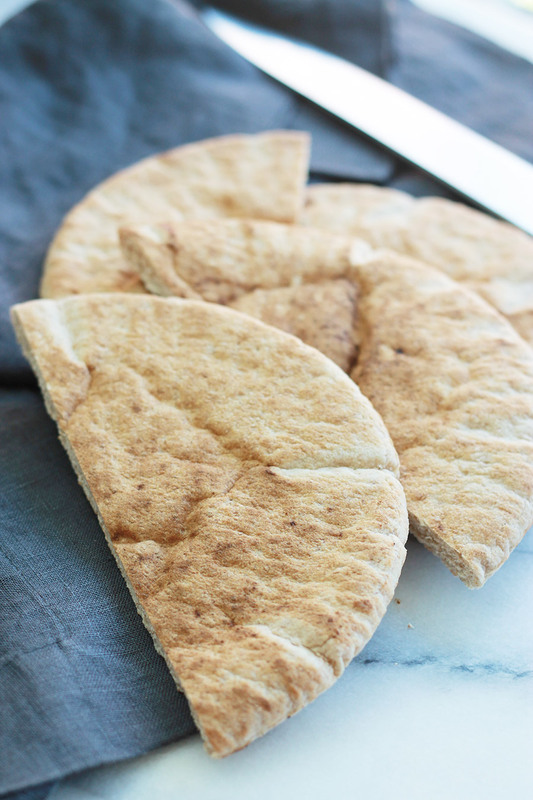 Cut pitas in half, place on shallow baking pan and place in oven. Toast until warmed. 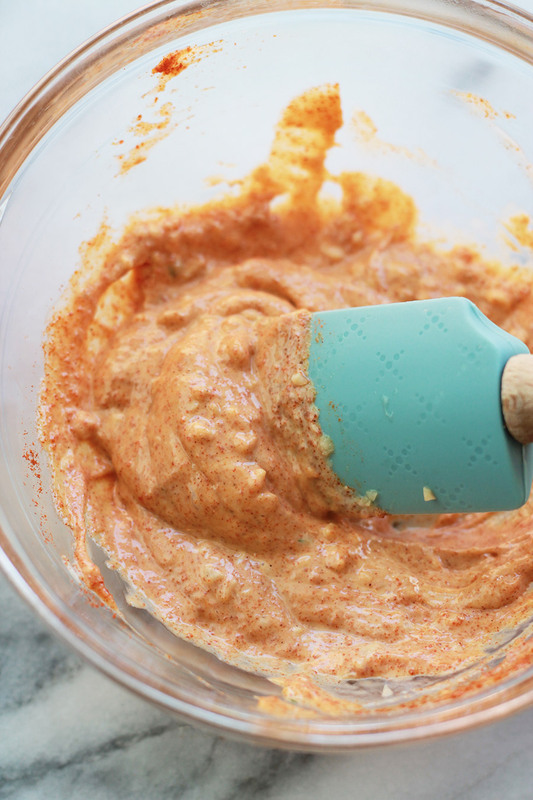 While pitas are toasting, make the sauce, in a small bowl mix together the vegan mayo, garlic, harissa paste, and lemon juice, stir until well combined. 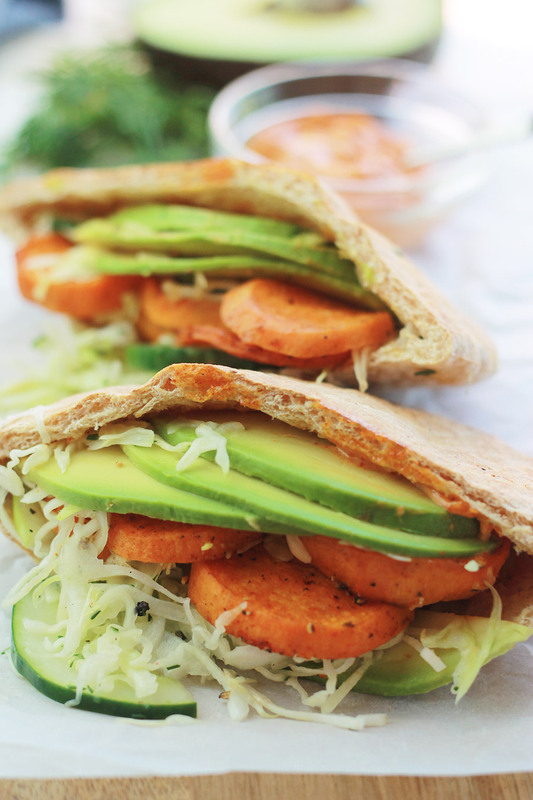 Cut, pit and slice avocado, drizzle with some of the lemon juice to prevent browning. 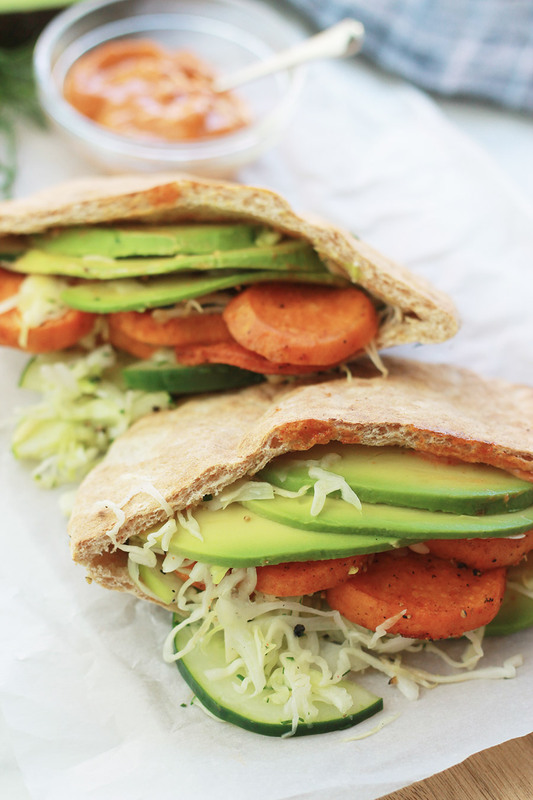 When ready to serve, spread some of the sauce inside pita pockets, stuff pitas with slaw, sweet potatoes, and avocado slices. If you don’t have fresh dill you can use dried.